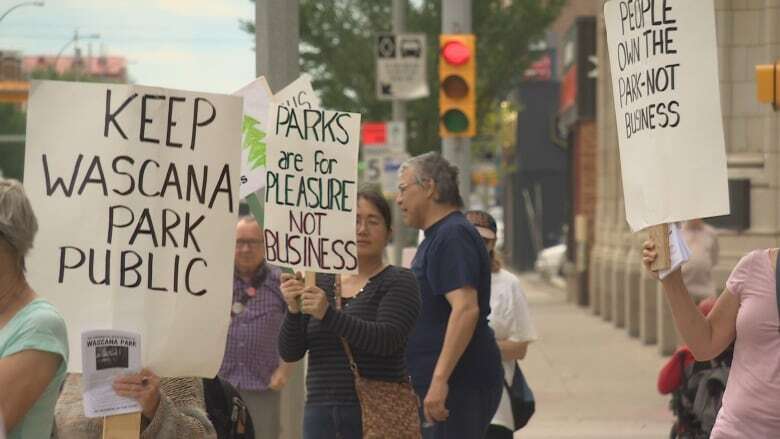 Protesters gathered with signs in front of Regina's downtown Conexus building on Wednesday during the noon hour. Protesters gathered with signs in front of Regina's downtown Conexus Credit Union head office on Wednesday during the noon hour. The group, called No Business in the Park, encouraged people to honk in solidarity and shut down any accounts they have with the bank. 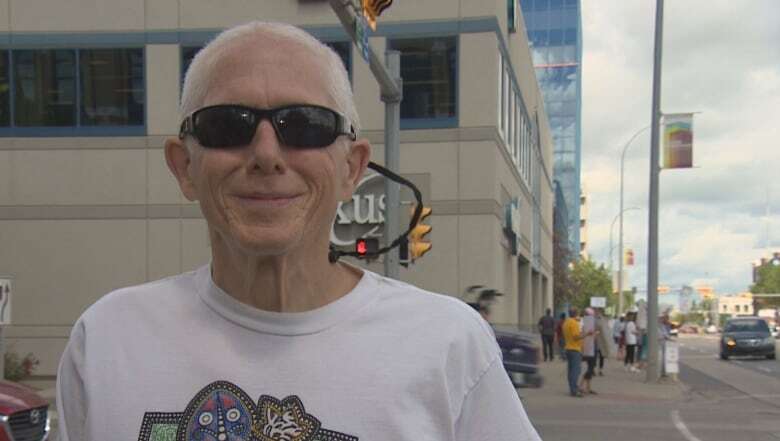 "I've used their banking service for over 40 years and I'm in the process right now — as are most of the members of my family — of transferring over to other financial institution," said protester Rob Humphries. "I thought it was an ethical institution." 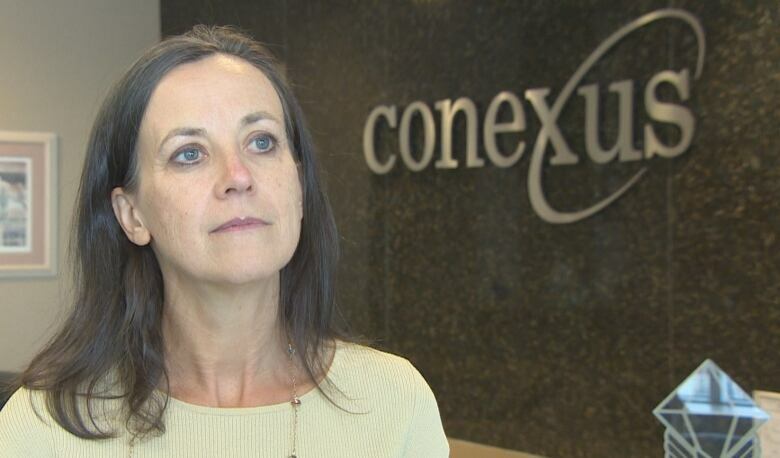 Conexus plans to build a new 80,000 square foot head office on College Avenue, located on Wascana Park land that has been leased for 90 years. Humphries helped organize the rally. He said his biggest fear is that this project will lead to the downfall of the park he's enjoyed for 60 years. "They don't seem to recognize that what they're doing has set the precedent for future commercialization." Conexus was able to secure the space when it entered into a partnership with the University of Regina, which called for proposals for development on the land in conjunction with the College Avenue Campus renewal project. The company has pledged $8.25 million for repairs and renovations to the campus. Humphries suggested Conexus could have simply donated that money to the repair project and found a space downtown. Annette Revet, Conexus Credit Union's Chief Transformation Officer, said the company understands the protesters' concerns, but sees this development as a positive step for the city. "We don't support commercialization of the park," she said. "We are addressing a need in order to actually preserve some very important buildings in the park." The plan is to plant three trees for every one trees that was destroyed to make way for the head office. "It is an opportunity for us to make a lasting impact on the park and the buildings that we treasure here in Regina," Revet said. The Provincial Capital Commission, that is in charge of the park, plans to plant the new trees in the fall, although specific date is not yet know.